The Human Resource Assistant is responsible for the administrative support of day-to-day human resource operations. Answers phones for the HR department. Assists employees and supervisors with basic interpretation of HR policies and procedures. Maintains confidential personnel files and personnel actions. Responds to reference checks and verifications of employment status. Assists the Generalist with HR projects. Assists with application pre-screening process. Support coordination of employee recognition activities, holiday party, service awards, luncheons, etc. Assist with department initiatives such as Wellness Initiatives. Maintains and distributes list of new and cancelled employees under each benefit plan. Verifies benefit billing accuracy and processes for payment. Ensures compliance with USCIS Form I-9 Employment Eligibility Verification; periodically audits Forms I-9 and processes E-Verify. Ensures all government forms are current and complete. Assists with recruitment tasks as needed (verifications of employment, background checks, reviews applications, interviews, etc.) or assigned. Maintains and processes all Unemployment Notices of Entitlement and potential charges in a timely, efficient manner. Performs full cycle benefits administration, including claims resolution, change reporting, approving invoices for payment and communicating benefits information to employees. Processes and tracks personnel status change forms. Ability to communicate effectively with management, internal staff, and external vendors. Ability to establish effective working relationships with co-workers, various County and City employees, customers, and the general public. Uses sound, independent judgment in daily work activities and exercises discretion; has strong ethical standards. While performing the duties of this job, the employee regularly works in an office setting. Must be able to adhere to strict confidentiality. This is a full-time position. Days and hours of work are Monday through Friday, 8AM to 5:00 p.m. This job is usually performed in a normal office environment. Occasionally, work must be performed in outside, subject to extreme weather conditions. The position performs a variety of accounting work such as accounts payable/receivable, pass sales entry, basic account reconciliations, data entry and report generation, cash collections and Journal Entries. The position reports to the CFO or his designee. High school diploma or G.E.D required; AA preferred in accounting/finance/business administration. Three (3) years of directly related experience desired. An equivalent combination of education and experience that is determined to be directly related to the specific requirements may be substituted. The work environment and physical demands characteristics described here are representative of those an employee encounters while performing the essential functions of this job. Reasonable accommodations may be made to enable individuals with disabilities to perform these essential functions. This job is usually performed in a normal office environment. Must be physically able to lift and carry 20-25 lbs. infrequently. SUMMARY: This position is responsible for providing service to bus riders by safe, reliable, and expert transportation to the community. Operates a bus for the safe transportation of the public. Responsible for following all District rules, policies and procedures. Responsible for pre and post trip activities for the bus and reporting of any issues related to same. Responsible for reporting accidents and/or incidents and following District procedures in accordance with the accident reporting procedure. Responsible for dealing with passengers and the public with courtesy and patience. Assists impaired passengers in accordance with the American with Disabilities Act. Loads and secures up to two (2) wheelchair scooters. Assists Paratransit passengers at pick-up and drop-off points. Provides customer service as defined in District Standard Operating Procedures. Responsible for handling emergency situations appropriately. Monitors cleanliness of bus interior. Assists with training of new operators. 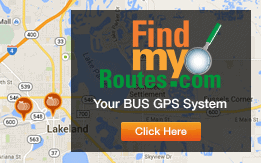 Checks bus and reports lost or left behind items; communicates and reports to appropriate personnel. Knowledge of the geography of the county and bus routes. Skill in safely operating a bus or other vehicle in a variety of weather and traffic. Ability to work under pressure; ability to multi-task. Excellent interpersonal skills and strong conflict resolution skills. Must be a self-starter; able to work independently. High school diploma or G.E.D. required; two to four years’ customer service experience. An equivalent combination of education and experience that is determined to be directly related to the specific requirements may be substituted. Must have valid CDL Class “B” license with (P) Passenger Endorsement and Airbrakes. This job is performed in all weather conditions. It may include the need to be able to lift up to 100 lbs. infrequently. SUMMARY: Under general supervision, performs semi-skilled work in servicing, lubricating, repairing and maintaining vehicles for a public transit system. This position is as safety sensitive. 1. Responsible for a highly standardized maintenance program which includes tire repair, lubrication and general garage duties. 2. Maintains routine records of activities performed and materials used. 3. Fuels transit vehicles and checks water, oil, battery and tires; adds water, oil and air if needed; drains air tanks. 4. Reports damage, defects or malfunctioning parts to proper authority. 5. Changes tires in the garage and, when necessary, on the road. 6. Washes engines, bus units and bus interiors and exteriors as necessary. 7. Cleans garage and parking areas and performs other related cleaning, sweeping, mopping or dusting duties. 8. Operates service truck and fork lift. Knowledge of the location, nomenclature, and function of the less complex parts of transit equipment. Knowledge of the types, grades, and uses of standard diesel lubricants. Knowledge of the materials, methods and equipment typically used in diesel maintenance work. Ability to maintain accurate records of work performed and materials used. Must be able to understand, read and communicate in English. PC literate, basic skills in Microsoft Office Suite and Internet research. High School diploma or G.E.D. required; one (1) year of experience servicing heavy duty diesel equipment. An equivalent combination of education and experience that is determined to be directly related to the specific requirements may be substituted. Must be able to provide an assortment of general hand tools and basic tool box. Must possess a CDL/Class B license or provide proof of passing the General Knowledge Test for the CDL. Must be able to obtain a CDL with P (passenger) endorsement license and air brakes testing within 30 days of employment. Must be maintained in good standing while employed with the District. This job is sometimes performed in essentially an outdoor environment, subject to extremes of both hot and cold weather and wet conditions. Employee must be able to work outside on a daily basis. This position is exposed to various chemical and gas/diesel fumes on a daily basis. Must be physically able to lift and carry equipment weighing up to 100 lbs. on a daily basis. SUMMARY: This position is a limited duration training position in which the employee is taught the knowledge and skills necessary to become a Paratransit bus operator. After successful completion of the training, the employee will know how to transport, safely and expediently, passengers on District buses. 1. Learns to be responsible for the safe transportation of passengers. 2. Learns to and aids in the loading and unloading process of passengers needing assistance in boarding. 3. Learns how to and performs daily pre and post-trip inspections of the bus in accordance with applicableregulations and District guidelines. 4. Learns how to complete daily post-trip inspections, including checking the condition of the bus. 5. Learns how to maintain the cleanliness of the bus interiors. 6. Learns how to communicate routine, urgent and emergency situations. 7. Attends all meetings and training sessions including all in service and driver meetings, first aid and CPRclasses that are required by the District. 8. Responsible for learning all District rules, policies and procedures. 9. Learns how to verify route times to maintain the accuracy of the schedulers’ assignments. 10. Learns how to provide information to the scheduler and dispatcher for updating maps and routes. 11. Learns how to report accidents and/or incidents and follow District procedures in accordance with theaccident reporting procedure. 12. Learns how to deal with passengers and the public with courtesy and patience. 13. Learns how to assist impaired passengers in accordance with the American with Disabilities Act. 14. Learns how to assist Paratransit passengers at pick-up and drop-off points. 15. Learns how to deal with passengers who may have a wide range of mental acuity. 16. Assists impaired passengers in accordance with the American with Disabilities Act. 17. Learns how to load and secure up to five (5) wheelchair scooters. 18. Learns how to deal with emergency situations. 19. Learns how to perform other duties as assigned. Ability to utilize mobile data terminals. Ability to maintain required records. Strong interpersonal skills and strong conflict resolution skills. An equivalent combination of education and experience that is determined to be directly related to the specific requirements may be substituted. Must have valid CDL Class “B” permit with (P) Passenger Endorsement and Airbrakes upon hire. Must be able to obtain license within sixty (60) days of hire. Citrus Connection is proud to be an Equal Opportunity Employer (“EOE”) and does not discriminate on the basis of race, creed, gender, national origin, or veteran status in accordance with applicable federal, state and local laws. We believe that our employees are our most valuable asset. As a member of the Citrus Connection Team, you’ll find an environment that celebrates diversity and welcomes the open exchange of ideas and individual perspectives. We are proud to offer an attractive salary along with a generous benefits package designed to support you while addressing work/life balance issues. Thank you for your interest in Citrus Connection. The Citrus Connection is a Drug Free Workplace (“DFWP) and is committed to providing a safe, efficient, and productive work environment for all employees, to help ensure a safe and healthful working environment. To be considered for employment, the employment application must be completed in its entirety, signed in the application Acknowledgement section, and the position for which you are applying, specified. Please review our current job openings. If your qualifications match the minimum requirements of any of our openings, please click the Application Request Link or download an the Citrus Connection Employment Application. Once you complete the application, you may also print it, email it to Recruiting@ridecitrus.com or drop it off at our location at: 1212 George Jenkins Blvd ~ Lakeland, FL 33815. Applications are screened by the Human Resources Department. Applicants that meet the minimum requirements will be forwarded to the Hiring Manager for review and consideration for interviews. The Hiring Manager will only contact the most qualified applicants. Citrus Connection operates in accordance with Title VII. Click here for more information. The District is an Equal Opportunity Employer (“EOE”) and does not discriminate on the basis of race, creed, gender, pregnancy, religion, national origin, citizenship, age, disability, political affiliation, marital status, veteran status or any other legally protected category in accordance with applicable federal, state and local laws. Employment opportunities include all employment practices, including recruitment, selection, promotions, terminations, inter-departmental transfers, layoffs, compensation, training, benefits, and other terms and conditions of employment. No person shall be excluded from participating in, denied the benefits of, or be subject to discrimination in employment under any project, program or activity receiving federal financial assistance from the federal transit laws. The overall goal of the District is to have, in its employ, individuals within its workforce that reflect each segment of the various demographical backgrounds that make up the Lakeland urban area. This goal is extended to having members of the various ethnic backgrounds in various positions, such as supervisory, professional, and clerical and service delivery positions. As part of the EEO (“Equal Employment Opportunity”) Program, the District will make reasonable accommodations for disabled applicants and current employees and strongly prohibits discrimination, harassment, and/or retaliation in violation of law. We are committed to providing a fair and respectful work environment that is free from unlawful discrimination. It is important to the District that each employee who joins our team be qualified to perform job duties set forth in the job description. All applicants are recruited and selected based on transferable skills, knowledge, previous work experience, and the minimum educational level for the specific position that is required for successful job performance. We are proud to offer equal employment opportunities, and we embrace the diversity that makes up our family of employees. The District is a government agency, operating under the Federal Transit Administration and Florida Department of Transportation’s employment rules, laws, guidelines, policies, and regulations. Every safety-sensitive applicant’s background will be carefully reviewed to ensure the safety of all workers and the general public. Each applicant applying for a safety-sensitive position is required to complete and successfully pass a pre-employment drug test and Department of Transportation (“DOT”) Physical. All non safety-sensitive applicants will be required to pass a pre-employment drug test.